Cozy is a free and open source audiobook player for the Linux desktop. 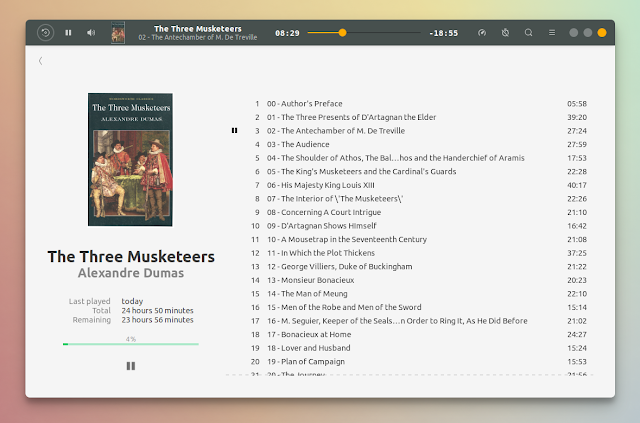 The application lets you listen to DRM-free audiobooks (mp3, m4a, flac, ogg and wav) using a modern Gtk3 interface. You could use any audio player to listen to audiobooks, but a specialized audiobook player like Cozy makes everything easier, by remembering your playback position and continuing from where you left off for each audiobook, or by letting you set the playback speed of each book individually, among others. 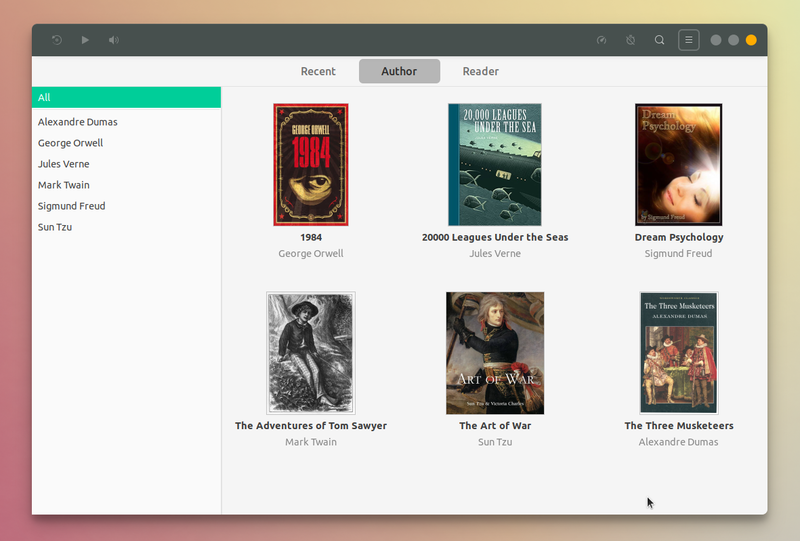 The Cozy interface lets you browse books by author, reader or recency, while also providing search functionality. Books front covers are supported by Cozy - either by using embedded images, or by adding a cover.jpg or cover.png image in the book folder, which is automatically picked up and displayed by Cozy. From the application toolbar you can easily go back 30 seconds by clicking the rewind icon from its top left-hand side corner. Besides regular controls, cover and title, you'll also find a playback speed button on the toolbar, which lets you increase the playback speed up to 2X. A sleep timer is also available. It can be set to stop after the current chapter or after a given number of minutes. What I'd like to see in Cozy is a way to get audiobooks metadata, including the book cover, automatically. A feature to retrieve metadata from Audible.com was proposed on the Cozy GitHub project page and the developer seems interested in this, but it's not clear when or if this will be implemented. Like I was mentioning in the beginning of the article, Cozy only supports DRM-free audio files. Currently it supports mp3, m4a, flac, ogg and wav. Support for more formats will probably come in the future, with m4b being listed on the Cozy 0.7.0 todo list. Cozy cannot play Audible audiobooks due to DRM. But you'll find some solutions out there for converting Audible (.aa/.aax) audiobooks to mp3, like this script. Any Linux distribution / Flatpak: Cozy is available as a Flatpak on FlatHub. To install it, follow the quick Flatpak setup, then go to the Cozy FlaHub page and click the install button, or use the install command at the bottom if its page. elementary OS: Cozy is available in the AppCenter. sudo sh -c "echo 'deb http://download.opensuse.org/repositories/home:/geigi/Ubuntu_18.04/ /' > /etc/apt/sources.list.d/home:geigi.list"
For other ways of installing Cozy check out its website.